In the 20 years we have been in business DG Roofing have fixed problems on the wide range of different roofs found in Glasgow, from tiled tenement blocks to flat roofs. Unlike some other Glasgow roofing companies, our knowledge of all the different types of properties found in the city not only helps us understand how to best assist you, but we are also happy to pass this knowledge on to help you save money. 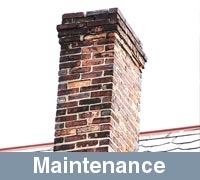 We do this through building a Planned Maintenance Program that gives you guidance on how to maintain your property's value and keep your repair costs to a minimum. 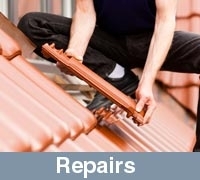 Our Roof Repair Services as your roof is a major part of your property it needs to be maintained, however like many people do, it unfortunately only gets attention when you notice a problem. By choosing DG Roofing Glasgow you will be able to fix the problems before the damage becomes any worse. Better still, our roofers will help you plan ahead with a maintenance program that will save you money and prolong the life of your property. Has your roof been damaged by bad weather? Bad weather & storm damage can have a serious effect on your roof, damaging tiles and causing leaks. DG Roofing fix any problem you may encounter with your roof and associated parts quickly and professionally. If you are in need of an experienced roofing company in Glasgow that will reliably help you, quickly, efficiently and cost effectively, DG Roofing Glasgow can help. 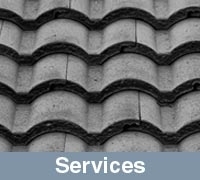 For Emergency Roofing Enquiries call our mobile right away, we can see if we can help. 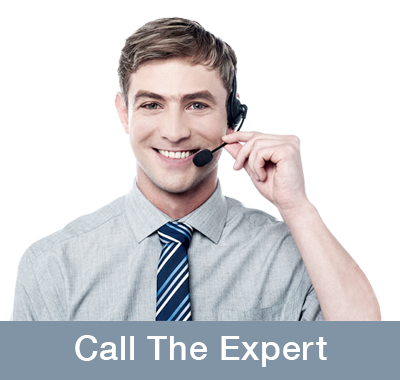 We are always available to give you free advice on your property’s needs. You can trust in us that you will receive professional recommendations from someone who has been roofers in Glasgow for over 20 years. 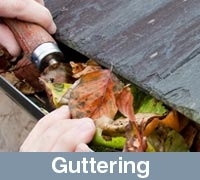 When was the last time you looked at your guttering? CALL DG ROOFING TODAY WE CAN HELP. The list above is extensive but by no means exhaustive. Our team of hard working, courteous workmen cater for a variety of roof repairs Glasgow from emergency roof leaks to slate replacements. DG Roofing Glasgow has been carrying out roofing work throughout the glasgow area for over 20years, we pride ourselves on the quality of our roofing work as well as our guttering services. We also want to go the extra mile for our clients and that why they come back to us, recommend us for roofing work as well as leave us great testimonials. For all your roofing requirements, roof repairs, leaky roof, flat roof repairs, roof tile replacements, slate roof repairs, we can help. 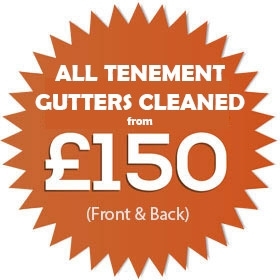 Call us or fill in the form provided for a free quote from Glasgow Premier Roofing Contractor. No Job Too Small Or Complicated! You have probably invested thousands if not hundreds of thousands into your home but chances are you never look at your roof or your gutters until there is a problem. By preventing or fixing a leaking roof or clogged gutter you will be able to prolong the lifespan of your property and prevent any potential damage to the inside of your home. DG Roofing Glasgow roofers work with home owners, landlords and people that are self-factoring to keep properties dry and safe so no matter what your background you can contact us for chat about roof maintenance and repairs your property's roof or gutters. "DG ROOFING has maintained my roof for over 15 years." "DG Roofing renewed our front fascia, guttering & repairs on the roof. Excellent company to deal with." "Had mega problems with my roof and finally I found a company I can trust!" "Excellent company - Trustworthy, reliable, polite and value for money!"